In addition to presentations by 47 of the world’s most prestigious design galleries, ten Curio installations, ten Design at Large projects, and the culminating presentations from the three Swarovski Designers of the Future award winners, Design Miami Basel 2018 presents six Satellites & Collaborations, seven Design Talks, and more. 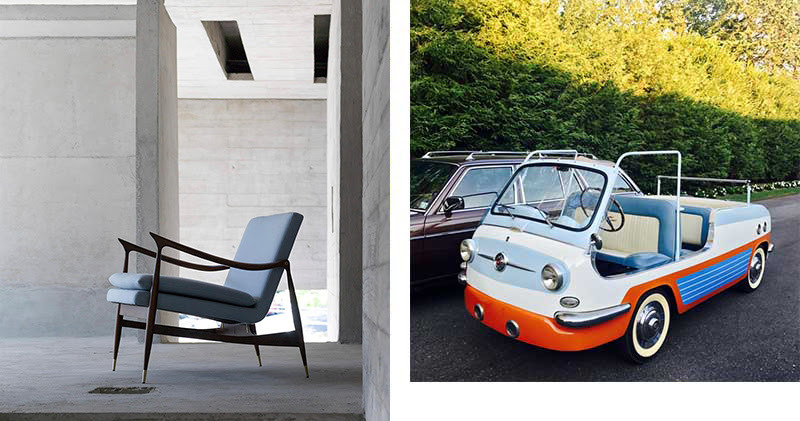 The result is a selection of 100 numbered Feltri armchairs in which CALVIN KLEIN house codes are applied to the armchair’s interior upholstery. 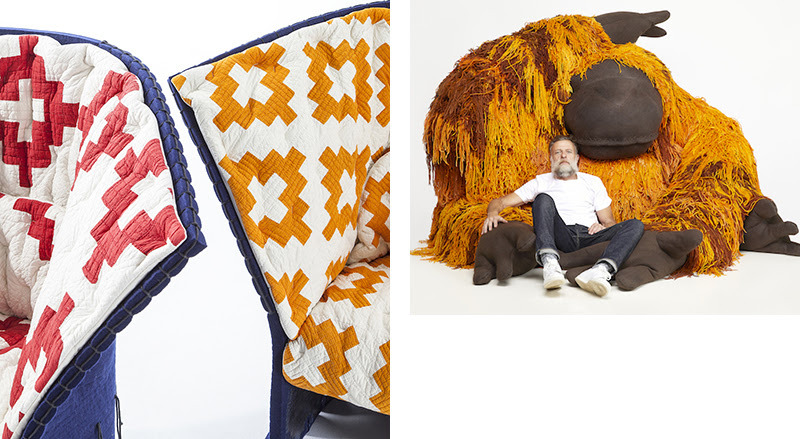 The Leonardo DiCaprio Foundation, in collaboration with SFA Advisory and Southern Guild, presents a project of collectible design pieces by renowned South African designer Porky Hefer. Drawing attention to the foundation’s dedication to the long-term health and well-being of all Earth’s inhabitants by supporting projects that build climate resiliency, protect vulnerable wildlife from extinction, and restore balance to threatened ecosystems and communities, Hefer created five large-scale, functional, and sculptural designs of endangered species: orangutan, polar bear, sloth, blue whale, and great white shark. Visitors are invited to sit in, on, and around these friendly sculptural creatures, igniting a sense of empathy as the stories of the animals’ hardships and the importance of their survival to our own lives are recounted through interaction, video, and text. Stuart Parr presents selections from his collection of classic 1950s, ‘60s, and ‘70s Italian motorcycles and cars in the following three categories. The Mini: These small but versatile vehicles have a top speed of about 60 mph from the rear-mounted, mostly two-cylinder engines. They were and still are the ultimate beach car and, for Fiat founder Gianni Agnelli, a perfect fit for his yacht. The Mighty: The magnificent Iso Grifo designed at Bertone by Giorgetto Giugiaro is equipped with powerful Chevrolet Corvette engines, ensuring reliability and autostrada speeds upwards of 140 mph, making it one of the world’s fastest production cars at the time––Italian beauty, American muscle. The Moto: Italian motorcycles were born on the track. Their story has been inscribed on the most famous racing tracks in the world. The Collectors Lounge at DESIGN MIAMI BASEL 2018, presented by ETEL and designed by Superluna, is a space where collectors and members can enjoy a drink from the Perrier-Jouët bar, and relax in an atmosphere designed to mirror a domestic environment filled with pieces rich in Brazil’s contemporary themes and history. 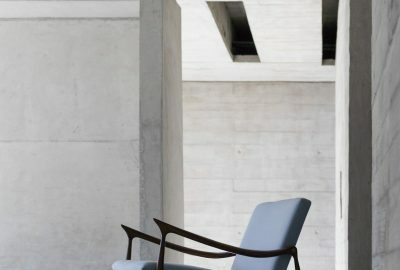 Curated with selected pieces from ETEL’s collection of contemporary design and re-editions of iconic modern Brazilian design, the entire Lounge structure is covered with textile panels, creating a frame for an intimate space. François Halard, renowned interior and architectural photographer and this year’s curator of Design at Large, created a graphic identity specially for Design Miami/ Basel that explores the concept of time, encouraging visitors to shift their focus to design’s defining details, materials, and expressions. His blurred and distorted photographs, seen throughout Design Miami Basel’s branding, create ethereal images that appear to be on the verge of focusing. These images evoke a sense of slowing down, encouraging fairgoers to unplug from their bustling everyday lives, step away from social media addictions, and shift their perspective of time, immersing themselves fully in their first-hand experience of the fair. Artek and Vitra return to Design Miami/ Basel this edition and will be providing the furniture for the Design Talks Theater, Media Lounge as well as Nook Café. Attendees can expect to see furniture designed by some of today’s leading designers including Konstantin Grcic’s Stool-Tool (Vitra) at our Design Talks Theater and classics of modern design by Alvar Aalto and Ilmari Tapiovaara (Artek) at our media lounge.